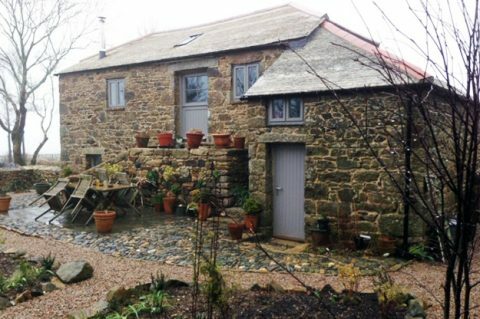 Living in a barn conversion is a dream come true for many people. They are becoming an increasingly popular choice among homeowners, who crave properties which ooze character and harmoniously combine traditional and modern features. Many barn conversions are purchased as empty shells. This means that while the outside retains authentic, rustic charm, inside you have free reign in terms of design. Rather than living in small, cramped spaces typically associated with older builds, you may be able to create the spacious, comfortable, modern home you’ve always wished for. How close is the barn to local amenities? Living in the middle of nowhere may seem idyllic, but if you aren’t wholly self-sufficient, it can be impractical – and you don’t want to realise this a week after moving in. You ideally want to live somewhere within walking distance of, or a short drive to, local shops for your essentials, healthcare, and a school if you have younger children. Bear in mind that living way out in the sticks could also put off future buyers if you were to sell. Is it hooked up to utilities? Water, gas and electricity are essentials for any modern home. Some barns might already be hooked up to utilities, while others won’t – and depending on the location, sorting out these services could prove a costly endeavour. Listed properties come with a lot of stringent building restrictions and in certain cases, will make it impossible for you to convert the barn for domestic use. Even if you manage to get planning permission, you’ll face tougher rules when it comes to what you can and cannot do, which often amounts to more time and higher costs. That’s not to say you shouldn’t go for it, but you have to manage expectations and accept the barn may end up different to what you initially envisioned. Does it have Planning Permission? If the barn has already been granted planning permission, it’s likely you’ll end up paying for the privilege. The advantage of this is that it could save you a lot of time and money in the application process. If it doesn’t have planning permission, don’t hand over any cash until an experienced architect has drawn up detailed plans for the conversion and talked them through with the planning officer. Have you got a detailed costing? Don’t commit to purchasing a barn conversion until you’ve got a thorough, detailed costing of the property, which is a must if you’re taking out a self-build mortgage anyway. You might find that you need to pay extra for things like protected species surveys, which could really eat into your budget. A final note on money: you need to set a realistic budget which accounts for unforeseen costs – of which you’re likely to encounter a few during the project. With a cash reserve, you can be sure that any potential issues are resolved as efficiently as possible, so work can resume as normal. Using an architect for your barn conversion will ensure you meet all the legal requirements and create your dream barn conversion. Get in contact with us today to find out more.